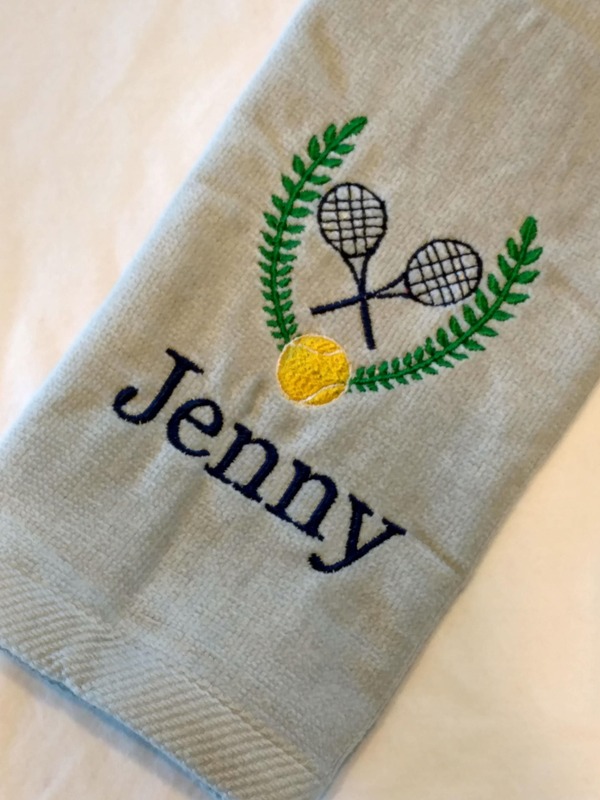 TENNIS TOWEL ~ Velour Sports Towel w/ Grommet PERSONALIZED Monogram / Mother Daughter Trophy Towel / Tournament League Gift - Customize! 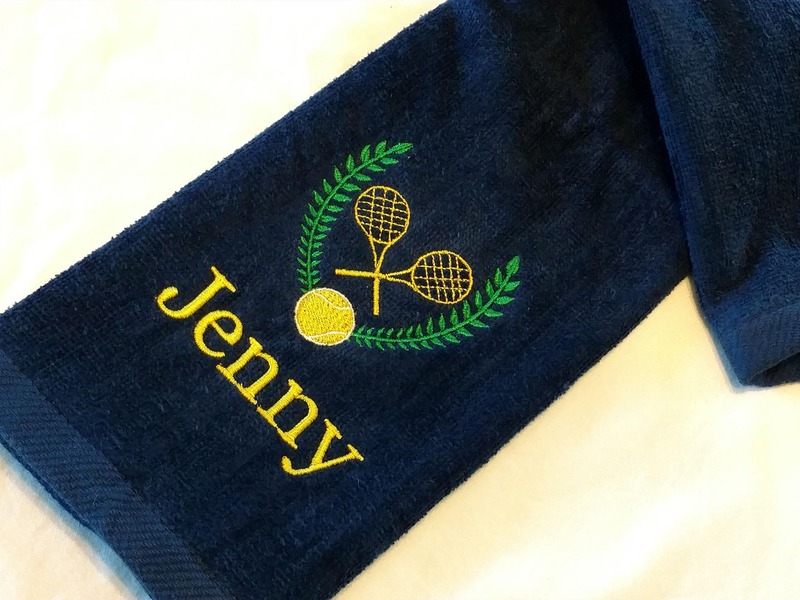 Towel features tennis wreath and racquet. You pick towel colors and embroidery colors! 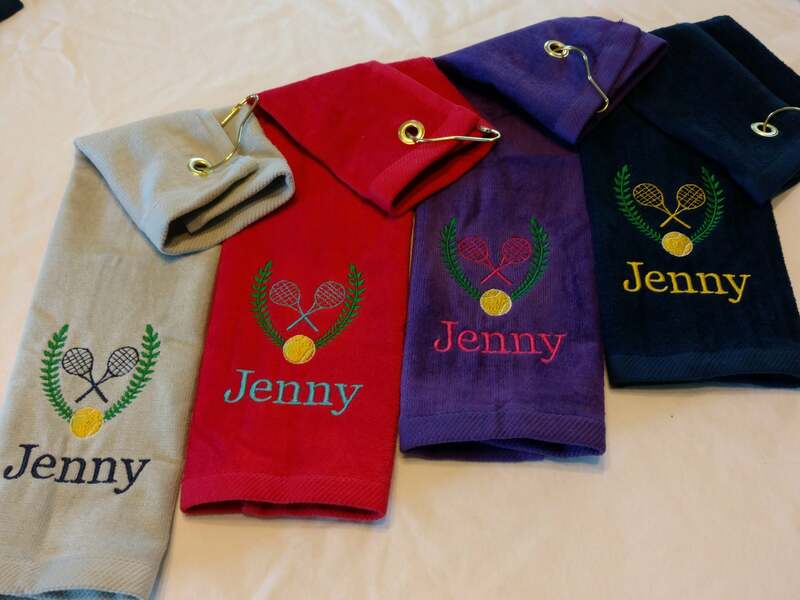 Additional tennis/sports towels and personalized items are available. Please message me if you have a specific request! The seller was a true pleasure to work with! It came super fast after I ordered it and it looks awesome! I already wrapped it up so I can't take a photo but our cousin is going to love this Christmas gift! Thank you so much! !